as winter melts into spring, i get excited when the produce at farmers markets starts changing, but here in southern california it seems as though beets and kale are here year round. that is just fine by me. 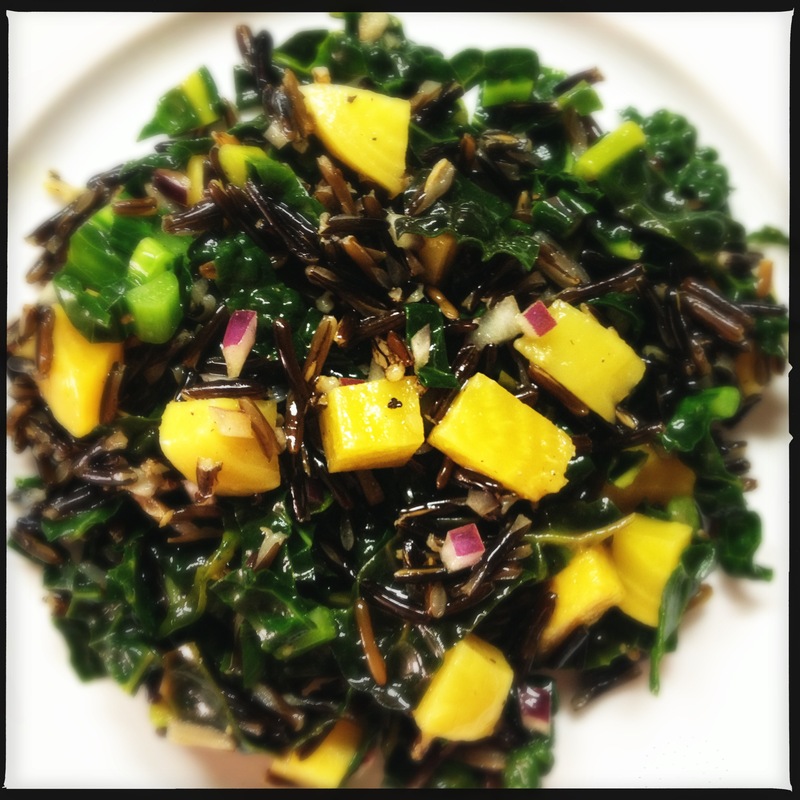 this salad blends the merging seasons well with earthy wild rice, sweet golden beets, and crunchy green kale. in a large bowl mix together the cooled wild rice and beets with the kale and onion. in a small bowl add a generous pinch of salt to the vinegar, and slowly whisk in the olive oil until it emulsifies. toss dressing into rice mixture. add salt and pepper to taste. tip: for breakfast the next morning, sauté a little and add to scrambled eggs with goat cheese.